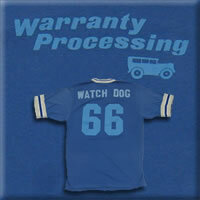 WPI is the original warranty processing company and was founded in 1966, by William Reiter. Bill came from a service back-ground and was known as a "straight shooter". He was also known for his knowledge of cars and his tenacious attention to detail, several of our partnering dealerships nicknamed him “The Watchdog”. His conviction, honesty, wit, and charm gave WPI the principles needed to sustain it through many years of industry changes. These principles are still followed to this day: know the policy, know the vehicle, attention to detail, follow-through, and make the extra effort. Bill's son, Stephen, having been with the company since 1975, is the current President. Stephen succeeded in growing the buisness, after surviving the recession of 1980 functioning with only 5 employees, to where it is today. WPI is a privately owned “C” corporation with class “A” credit. We have nearly 100 employees, all of whom report and work from our building, located at 1210 S. Alpine Rd Rockford, Illinois. Rockford is the second largest city in Illinois, 90 miles northwest of Chicago. The cost of living in north central Illinois is lower than most metropolitan areas, allowing us to match the best service with the best value. WPI currently processes automotive manufacturer warranties for dealerships franchised with the following automobile manufacturers: General Motors, Ford, Chrysler, Volkswagen, Audi, BMW, Toyota, Honda, Acura, Nissan, Mercedes, Mitsubishi, Jaguar, Subaru, Mazda, Suzuki, Kia, Hyundai, Land Rover, and Porsche. 280 dealerships nationwide, from Vermont to Hawaii, utilize our complete claims processing service with over 7 million dollars of paid claims each month. Our Information Technology department is on-staff from 9 a.m. to 5 p.m. business days. We integrate with Dealership Management Systems through web portals, VPNs, remote control software, and modems. We currently close claims in ADP, Dealer Track, Reynolds, UCS, ASI, Adam, DDS, Auto Mate, Dealer Built, PBS, and EDS. WPI has an advantage - our people. It all starts with leadership. In our hiring process we have developed ways to find people who excel at administrative challenges and know automotive repair. We lead through dedication, hard work and appreciation, helping our staff become the very best they can be. At WPI rewards are given based on merit. In fact, a good percentage of the our employees have been building value here at WPI for over ten years. WPI is the leader in innovation. We developed the Quick Claim™ scanner service over ten years ago; “Where your claims never leave the dealership”. In the past 10 years, we have invested more than a million dollars in hardware, software, networking, and system design. Every claim is tracked and accumulates helpful information along every step of the way and is available to the dealership through our secure on-line web portal 24/7. All scanned warranties are backed up on our remote server. So dealers need not worry about lost documents. Furthermore, the complete care service features our relentless follow through and reporting. A system that helps hold all parties accountable and avoids out-of-date claims. From consultations on warranty trends to emergency claim coding, service is at the heart of everything we do at WPI. Our office hours are from 7:00 AM to 6:00 PM CST Monday through Friday. Call us at 815-873-3000, we are glad to help.